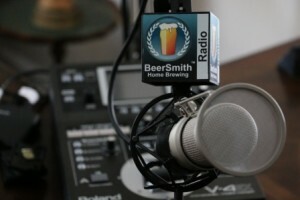 Chris White and John Blichmann join me to discuss their experiments in pressurized fermentation of beer in a quest to produce lager-like beers at room temperature. Today my guests are John Blichmann and Chris White. John is CEO of Blichmann Engineering, a premier inventor and producer of home and professional brewing equipment. Dr Chris White is CEO of White Labs, one of the largest US producers of beer brewing yeast and also is co-author of the “Yeast” book (Amazon affiliate link) and 2013 winner of the AHA governing committee award. Today they join me to discuss the results of a joint experiment they did on fermenting beer with lager yeast under pressure in an attempt to produce lager-like beer at room temperature. John discusses his “Cornicle” fermenter which is a combination keg/fermenter that allowed him to ferment beer under elevated pressure. Chris explains the different between ale and lager yeasts as well as how temperature has a significant effect on the flavor profile the yeasts produce. He also tells us how esters play a major role in developing lager and ale flavor profiles. John explains his research which indicated that commercial breweries using very tall fermenters ran into issues with flavor changes on their lagers. Chris shares some of the changes that go on within the yeast cell when you ferment beer under pressure. John tells us about the experiment they designed to split a batch into four parts and ferment one portion at lager temperature, and the other three at room temperatures but with varying pressures of zero, one and two bars (technically at standard pressure, then one bar which is 14.7 psi or 10 kilopascals above standard pressure, and two bars above which is 29.6 psi or 20 kilo pascals). Chris explains some of the laboratory analysis they did and how the ester levels were indeed lower on the pressure fermented beers. We discuss which pressure worked best overall – about 1 bar (14.7 psi or 10 kilopascals) above standard pressure. I’ve posted a copy of the Excel Spreadsheet with the data shown in the video here. Chris explains that the analysis indicated no significant ill effects from the pressure fermented beer. John and Chris share their “qualitative” analysis both from a personal perspective and small group experience. John tells us about judging the beer at the Indiana State fair and what experienced beer judges found there. Chris and John share their final thoughts on whether this is a viable (and faster) method to brew a “lager-like” beer at room temperature. Thanks to Chris White and John Blichmann for appearing on the show and also to you for listening! Very interesting podcast today. I’m new to brewing and I have a couple questions for you guys. Obviously you wouldn’t want to ferment in a complete vacuum, since the yeast does need oxygen in the mix, but would there be any benefit/possible interesting outcomes to come from fermenting in a slight vacuum? Like, lowering the pressure? Would you be able to simulate a high altitude situation like that? Also, would there be any benefit to (probably not BUYING the system for this, but if you already owned it) doing a yeast starter in this system? Just a couple of things that popped into my mind as I listened. Thanks for you podcast, and you time! I posted the link in the show notes for this episode above just a few minutes ago – thanks! Would pressure fermenting in a keg be possible? Are there any tips for doing this? Hello. In This experiment what temperature is room temperature? Thanks for the detailed results. Are the temperature profiles also available? Maybe also the specific gravity over time as well? And any plans to try pressure fermentation on other lager strains?